Once in a while I like to share recipes of whisky cocktails. This one is a simple one – true classic of its kind. A whisky drink called Rusty Nail. Rusty Nail is made with Drambuie and Scotch whisky mixed together. Drambuie is a sweet liqueur with 40% alcohol per volume level, made from Scotch whisky, honey, herbs and spices. You can serve a Rusty Nail in an old fashioned glass on the rocks, neat or “up” in a stemmed glass. Usually it’s served over ice. A Rusty Nail without ice included, can be called a Straight Up Nail. Lemon twist is the standard garnish but you can go without decoration as well. Keeping it simple works out fine with Rusty Nail cocktail. Versions of Rusty Nail cocktail can be made using any aged spirit, even though blended Scotch whisky is the traditional way to go. 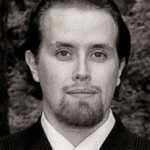 Cocktail historian David Wondrich says that Rusty Nail took a while to find its place in the world properly. The combo of whisky and Drambuie (which is probably the world’s most recognized Scotch based liqueur) made its first appearance in 1937 but apparently it took a whole generation or so for the drink to become popular. The Rusty Nail cocktail is often being credited to the bartenders at the 21 Club in Manhattan, in early 1960s. 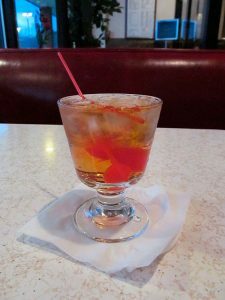 The cocktail got its name in 1963, when the chairwoman of the Drambuie Liqueur Company, Gina MacKinnon recommended Rusty Nail in The New York Times. The cocktail was one of the Rat Pack’s favorite drinks in the 1960’s, which also helped Rusty Nail reach popularity in those days. Rusty Nail is a cocktail commonly drunk by Saul Goodman (played by Bob Odenkirk), character in AMC series Breaking Bad and Better Call Saul. The drink is also preferred by Tony Blundetto (played by Steve Buscemi) in The Sopranos.